The contemporary design of this beautifully crafted diamond bar pendant necklace makes it a wonderful choice for those who love minimalism, with just the right amount of opulence. The design of this classic piece of jewelry features a sleek horizontal bar that is draped in the radiance of 14k white gold. 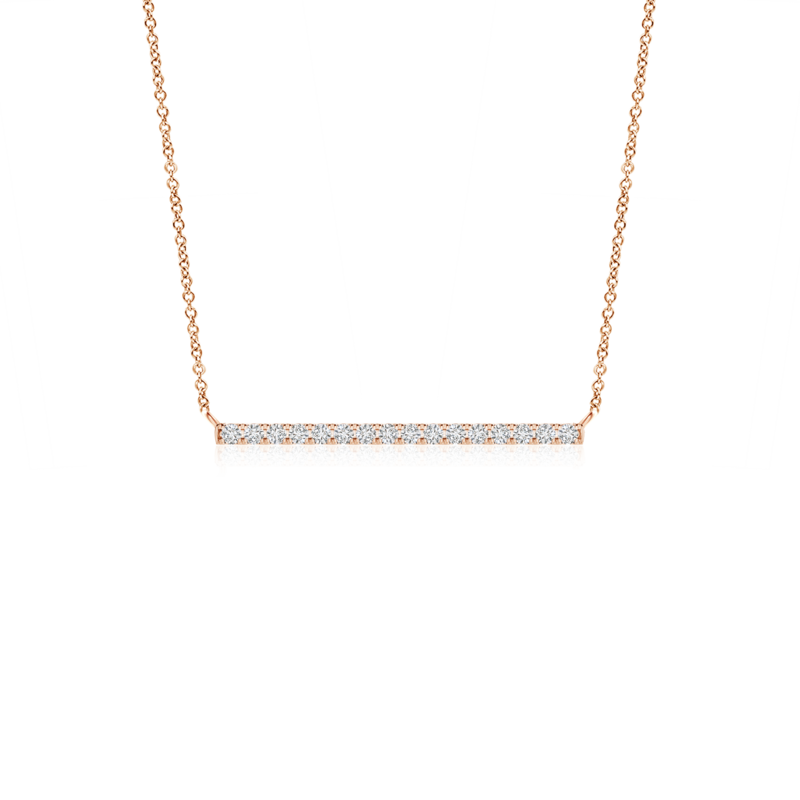 Prong set with the frame of the pendant are glimmering lab grown diamonds that display an alluring charm. An undeniably elegant pattern teamed with eco-friendly gems makes this necklace a prized possession.